You’re probably thinking, “I know that a murder can’t be solved and a criminal sent to jail in an hour.” But most crimes take much longer to investigate and prosecute than most people think. Even programs like Law & Order, which shows the timeline of the investigation lasting several days or weeks, truncate the process. While some cases can be solved quickly (hence the perception that the first 48 hours after a crime is committed are the most important), most cases take much more time than that. The sheer number of cold cases across the country proves that. 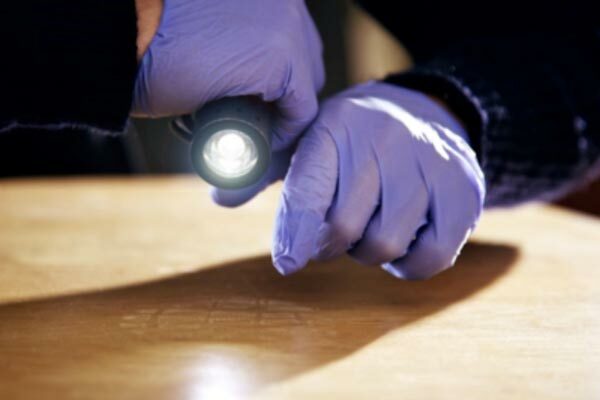 Just because a case goes cold or takes longer to investigate doesn’t mean it won’t ever be solved, but potential investigators need to be prepared to spend months or even years working on cases. Judging by what’s seen on TV, the typical crime scene is a veritable smorgasbord of evidence. Given the fibers, hair, fingerprints, and other hints criminals leave behind on TV, it’s a wonder that everyone isn’t able to solve the mystery. In reality, crime scenes are rarely so obviously filled with clues, and even those that are left behind aren’t always so easily detected. Clear, defined fingerprints are rare, and even DNA evidence can take weeks to confirm. It’s almost impossible that a detective would be able to determine the origin of a single hair or fiber at the scene—and that’s assuming the scene is intact enough to even locate those pieces of evidence. The difficulty in finding and piecing together clues is part of the reason investigations take so long. On TV shows the characters appear to work as a team on a single case, which they see through to prosecution before moving on to the next one. In reality, law enforcement teams typically work on several cases at a time (the exact number depends on where they are and the crime rate). The division of labor is more distinct in real life as well. You aren’t likely to find the same person collecting evidence at the scene, interrogating suspects, and looking at evidence in the lab. Usually a specialist handles each piece, and the typical case can have up to a dozen different people working on it. In TV land, when a detective finds a piece of evidence, all he or she needs to do is bring it back to the lab, enter some information into a database, and voila! A few minutes later, everything they ever wanted to know about the suspect is displayed on the screen. Obviously, it’s not that easy. Not only do most police departments lack the resources for the high-tech gizmos used on TV (if those gadgets are even real), their suspect databases tend to be more limited. Investigators generally don’t have access to records from other agencies or jurisdictions either. In other words, if the person you are looking for isn’t known to your agency, you might be out of luck and have to rely on your other investigative abilities. Fighting crime on TV might be different from real life, but most people in careers in criminal justice are happy just the way it is. Sure, they’d love to solve their cases in two days using an unlimited criminal database, but even without the magic of television, they are satisfied knowing that they’re doing their part to protect and serve.